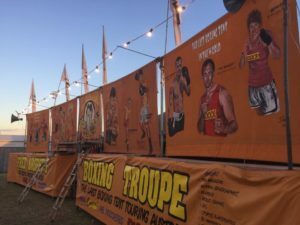 Another great overnight trip has been planned for Nov 17 to enjoy the spectacle that is Freddy Bropthy’s Boxing tent at the Kilkivan Hotel. We will be swaggin it so come prepared. If you are going to be stepping into the ring, make certain you let me know so I can… bring my camera to record the event for you… and to get myself ready to laugh and point at you!